Attachment manufacturer becomes member of the European Demolition Association during Bauma 2016. 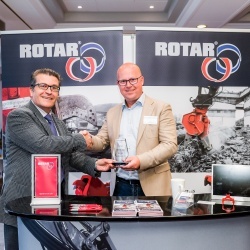 During the Bauma in April, Rotar became member of the European Demolition Association (EDA). The EDA was founded in 1978. As the world around us has changed, the demolition industry has also evolved significantly. The word demolition may be defined on the same way in dictionaries, but work is done in a completely different way. The European Demolition Association is the platform that brings the European demolition industry together. Rotar, as manufacturer of hydraulic demolition attachments, believes that people and machines can operate more efficiently. From this philosophy, we develop state-of-the-art attachments for hydraulic excavators and wheeled loaders. 'To be innovative' is Rotar's most important core value. Our craftsmen always aim to develop the best hydraulic attachments. As a member of the Association, our goal is to share knowledge with other members and work together on making the European demolition industry stronger and more efficient. 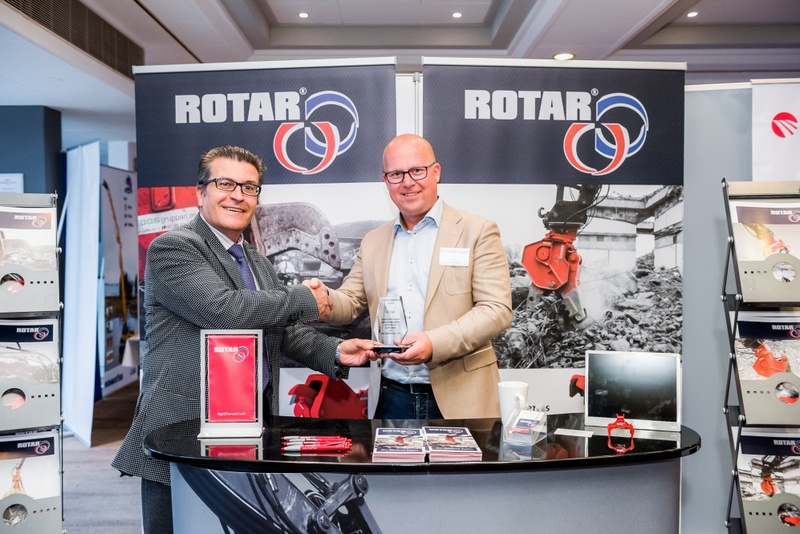 At the last EDA Convention in Glasgow - Scotland, Rotar was awarded with the Certificate of Appreciation. This award was given in recognition of the active participation, contributions and support showed to the demolition industry during the convention.